If you are injured in a car accident with someone who has Pemco insurance, here are some things you should know before settling your case. Pemco is in the business of making money. They are not in the business of handing out money they don’t have to. If you are injured in a car accident and representing yourself, you are going to be fighting an uphill battle. They have the money and you have not experience negotiating about how much an injury case is worth. Therefore, they are only going to offer and pay you what they want to pay you, not what you deserve. Pemco is only going to pay for your medical bills once you settle with them. This can be problematic for people that do not have a lawyer and do not have PIP insurance. PIP insurance is an auto policy that you can purchase that will pay for your medical bills while you wait to settle your case with Pemco. What can you do if Pemco is not paying for your medical bills? Pemco will generally only offer to pay for your bills right now if you qualify for their PIP insurance under the defendant’s policy. Generally, the only way you can qualify for their PIP insurance is if you were hit by their insured while riding a bike, walking across a street, or as a passenger of their insured. You can use your PIP insurance, medical insurance, or pay back your medical providers on a lien out of the settlement. 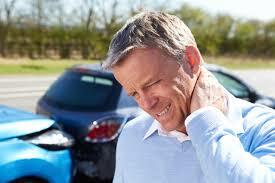 Do not settle your car accident injury case with Pemco until you are fully healed or the extent of your injuries are known. Pemco will pressure you into settling your case early by telling you that they will not pay anything more so you better take the money they are offering now even though you are not done with your medical treatment. Tell them you do not want to talk to them until you are fully healed. In Washington State, you have three (3) years to settle your case so there is generally a lot of time to heal after a car accident and not feel pressured to settle by Pemco. 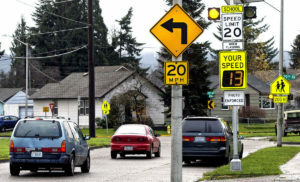 How much is your case worth against Pemco in a car accident in Seattle? Generally, you are entitled to pain and suffering, medical bill compensation, and lost wages, among other things. The best way to maximize the value of your case against Pemco is to hire a Seattle car accident injury lawyer. Hiring a lawyer does not mean that you will have to file a lawsuit, contrary to many beliefs. It does mean maximizing your case value by have an lawyer who only negotiates car accident injury settlements, negotiate your settlement and lower your medical bills. Hiring a Seattle personal injury lawyer is easy and costs you nothing. Personal injury lawyers are paid out of the settlement and studies show that people that hire a car accident injury lawyer for their case put twice as much money in their pocket as those who do not hire a lawyer and try to settle on their own, even after lawyers fees are taken out. Being injured in a Seattle car accident with a drunk driver can have life altering consequences. In the flash of an eye, the drunk driver can seriously alter the course of someone’s life and their family’s lives as well. Drunk driving is a serious issue even today with all of the potential ways to get home besides driving themselves, like Uber, Lyft, Lightrail, the bus, etc. There are too many options to make the excuse that someone had to drive home from the bar or club when they were drunk. This excuse is inexcusable. How to recover against a drunk driver? If you are injured in a car accident with a drunk driver, you can make a claim against their insurance company. The minimum limits on insurance coverage in Seattle is $25,000, hardly enough to even cover one hospital bill. With some statistics showing nearly 50% of people driving around with bare minimum or no insurance coverage, everyone should get uninsured or underinsured motorist (UIM) coverage added to your policy today. UIM insurance stands in and covers the additional damages that you suffered that were not covered by the policy of the drunk driver. This can cover lost wages, medical bills, pain and suffering, etc. Depending on how much coverage you buy, this could significantly help you if you are hit by a drunk driver. What if the defendant and your UIM insurance is not enough? Drunk driving car accidents cause drastic injuries that can have $500,000 in medical bills alone. If you or the defendant don’t have combined car insurance policies of $1,000,000 or more, you probably are not getting completely compensated for your injuries. In the likely event that there is not enough insurance coverage to go around, you may have to look for other avenues to obtain compensation for your injuries. If other cars were involved, you may have another avenue to pursue that car’s insurance coverage. However, a more likely source of recovery is the bar or bars that the defendant who was drunk driving got hammered at. Bars are liable for over serving alcohol to people that are obviously intoxicated. The reason is that bars are making money off of selling lots and lots of alcohol, often taking advantage of people who are too drunk to understand when they have had too much to drink. The state of Washington, like many other states, believes that bar owners and serves should prevent people from getting too drunk to drive. In Washington state, the legal blood alcohol limit is .08, which can be as little as two alcoholic drinks. Many people drink far more than two alcoholic drinks when they frequent a bar. To make bar owners and servers more responsible so they don’t take advantage of drunk people and to keep drunk drivers off the road, the state of Washington created a statute which holds bars responsible for their patrons who get too drunk and hit someone while drunk driving. This is called the dram shop statute. What is the dram shop statute? The dram shop statute states that bars must refuse to serve people that are obviously intoxicated or they will be responsible for injuries that are caused by the drunk driver. 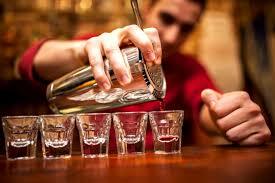 The state requires training for bar tenders to detect over intoxicated patrons. Bars are jointly and severely liable for the injuries caused by drunk drivers that got drunk at their bar. This means that the bar can be responsible for 100% of the damages that are caused despite the other person’s fault in driving drunk. Bars in Seattle are generally required to have a minimum of $1,000,000 in liability insurance for these very reasons. Dram shop cases are very tough and require a lot of investigation to determine that someone was over served while at a certain bar. However, most people go to bars or clubs with friends. There will be witnesses to see how drunk someone was at the bar or club and someone saw them continue to be able to buy drinks besides obvious signs of intoxication. Tailgating causes traffic not slow drivers?! 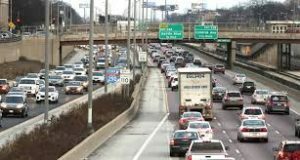 I came across an article in the Wall Street Journal from October 12, 2016 that stated that driving slow and steady in traffic is better at relieving traffic than tailgaters who are actually causing traffic jams. The article was written around a theory by Seattle engineer William Beaty. Mr. Beaty theorized that by driving slower and leaving a gap in front of you, you can maintain your speed while allowing others to merge or exit in front of you as they please, easing bottlenecks. The theory is that traffic jams are created when people who are not in the exit lane but need to get into the exit lane merge over at the last second but are blocked by people not allowing them in by tailgating. This causes the lane that the person trying to exit to slow down because the late merging car needs to get over first before they can go around them. This can push traffic back for miles depending on how congested traffic is at the time. People that tailgate leave no room for people to merge into an exit lane or from an onramp, slowing down traffic behind that car. This pushes traffic back, when had they let the car merge into their lane, traffic in the last minute exiter or merger could continue to move freely without braking. The theory is that if everyone left space for others to merge over or let people merge over as soon as they want, traffic would freely flow, assuming that everyone is driving at the same speed. Speeders, tailgaters, last minute decision makers are the ones that are actually causing traffic jams, not the slow steady moving traffic people. Tailgating causes car accidents when the car in front of them unexpectantly has to slam on their brakes. This causes a rear end car accident and injuries to the person and backs up traffic for miles as the cars have to pull over to the side of the road or sit their waiting for ambulance, tow trucks, and or police to arrive. Car accidents can block multiple lanes and even the whole freeway depending on how severe the injuries suffered in the car accident are. Seattle already has some of the worst traffic in the US and it is only getting worse with some estimates stating 250 people are moving into the city every day. We do not have the best bus, light rail, or train system set up to handle the large amount of people that have to commute into Seattle every day so we must learn to be better drivers and avoid car accidents as much as possible. Popular thought is that people need to speed and shorten distance between cars in order for traffic to continue to flow. This new theory comes counter to popular thinking but could work, if everyone maintained speed and did not accelerate, allowing others to merge in front of them so that traffic continues to flow with no one hitting their brakes. Why you should use your insurance in a car accident? I have heard it a thousand times, people believe that it is not good to use their own insurance in a car accident injury case. They want to go through the other party’s insurance to repair their car. This is not a good idea, especially if you are injured in the car accident. You have car insurance for this very reason, yet many people want to not get their insurance involved because they believe that their insurance premiums will go up to a point where they cannot afford. New flash: your insurance company will get wind of your car accident one way or another. 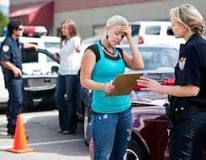 Insurance companies like to talk and chances are the defendant’s insurance will report that you were in a car accident. Your insurance will get wind of it one way or another. If your insurance company wants to raise your rates because you were injured in a car accident caused by someone else, that is a problem with the company and not you. You should find another company if this is the case. How dare you use your insurance for something that you pay a premium to them every month for! Trust me, there are many insurance companies out there that want your premium every month and they will charge you less than what your insurance company charges. Your insurance company has an obligation to treat you fair: This means that they cannot play games with evaluating you and your injuries. The other insurance company has no obligation to you and will try to convince you to drop your claim against them or diminish it as much as possible. The other insurance company will get an unfair look at your car damage and not give you the same courtesy: Often times in a car accident, the car that rear ends another car often has much more damage then the car that they hit. This is because rear car bumpers are generally much sturdier than the front bumper, which also house the hood and lights. If they have your damages and your car didn’t suffer much, they may try to claim a low impact case without revealing their insured’s major damages, which can pigeon hole your case and make you settle for much less than you deserve. You pay a lot of money in premiums to cover your car repair and medical damages with PIP premiums, why not use it? You should go through your own insurance company to pay for your medical bills because the other insurance company will not pay for your medical bills until you settle your case with them. This means that your hospital bill will go to collections and you may not be able to use your medical insurance to cover physical therapy, chiropractor, and massage therapy that you need. However, PIP covers all of these expenses immediately so that your bills do not go to collections and you can get the treatment you need now. PIP puts money in your pocket: If you use your PIP to pay for your medical bills and hire a Seattle personal injury lawyer to represent you in your car accident injury case, you will get more money in your pocket. This is because your car accident injury lawyer will be able to lower the amount you owe back in medical bills to insurance companies if you use your own PIP, which you wouldn’t get if you didn’t have a lawyer. The other insurance company would just pay back the other insurance company directly for the bills. If you have been injured in a car accident, you can give Chern Law Firm a call today for a free consultation. Cherin Law Firm charges on a contingency fee, which means that we do not get paid unless you recover money. We do not charge you out of your own pocket. We are paid out of the settlement that the insurance company pays. When to use your insurance and when to use the defendant’s? There seems to be a lot of misguided information and confusion around the topic of whose insurance you should use following a car accident injury case to pay for your medical bills. Mistakenly, many people don’t want their insurance rates to go up so they try to avoid using their car insurance policy as much as possible since the other person was at fault. This is bad and here is why. The defendant’s insurance will not pay for your medical bills, pain and suffering and lost wages, until you settle with them. This means that the defendant’s insurance company will not pay for your medical bills until you come to a settlement with them, which should only be when you are fully healed and have completed all your medical treatment. There is one exception, this doesn’t apply to people who are injured while using a bike or as a pedestrian, which are entitled to the defendant’s PIP (personal injury protection) policy, which acts like medical insurance and pays for your medical bills. If you are injured in a car accident, you can only use your own PIP if you are the driver. 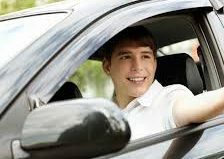 If you were the passenger, you get to use the driver’s PIP as well as your own, if you have a separate policy. In the mean time, who is paying for your medical bills? Since the defendant’s insurance company will not pay for your medical bills suffered in the car accident, who is going to pay for your medical bills and stop them from going to collections? If you have a PIP plan with your car insurance, you should absolutely use it. PIP pays for any and all medical treatment such as hospital bills, ambulance rides, emergency room bills, chiropractor visits, physical therapy, massage therapy, doctors visits, and more. Most people have $10,000 in PIP benefits but some have $35,000 or more. Check out your insurance policy or call your insurance adjuster to find out how much you have. If you run out of PIP, you can use your medical insurance to continue paying for medical treatment so long as the treatment is covered according to your policy and the treatment provider is ok with using it. Additionally, some medical facilities will allow you to pay them back out of the settlement and continue to get treatment after your PIP has been exhausted. However, most medical facilities will require you to have a personal injury lawyer represent you and have them sign an agreement that says they are entitled to be repaid out of the settlement for their treatment of you. What claim numbers do you give to your medical providers? It is important that you give your PIP claim number to all of your medical providers especially hospitals and ambulances who will send you to collections very quickly if they are not paid within a couple months of service. You should not give the defendant’s insurance claim numbers to your medical providers, as they cannot bill them and the claim will be rejected, which may make the medical facility send you to collections. Give your PIP claim number to all of your medical providers at the outset of your appointments so that all billing goes through your PIP. They were responsible, shouldn’t they pay? Yes, and they will. The defendant’s insurance company will repay all medical bills that have been paid by your PIP policy, medical insurance, and those you paid out of pocket or are waiting to pay back on a lien. This will come out of the settlement in addition to compensating you for your lost wages and pain and suffering. All medical bills are subject to being paid back by the defendant’s insurance company and to whoever paid them. However, if you hire a car accident injury lawyer to represent you for your injuries, your lawyer will be able to reduce the amount of PIP benefits that you have to pay back by at least 1/3, putting that money in your pocket, instead of your insurance company’s pocket. This is because you hired a lawyer to represent you and attorney’s fee are usually 1/3 of the settlement. State courts have found it unfair for the PIP insurance company to benefit from your hiring of a lawyer, who obtains money for their repayment out of the settlement. Scared of racking up too many bills? If you are scared of racking up too many bills because you believe you may not be able to get them paid for out of a car accident settlement, you should contact a car accident injury lawyer today. The Cherin Law Firm offers free consultations and will answer all your questions about your case, case value, PIP benefits, etc. Additionally, the Cherin Law Firm is paid out of the settlement and charges 1/3 of the settlement, which never comes out of the client’s pocket. Therefore, anyone can afford our services but you cannot afford not to have a lawyer representing you against the insurance company who are professional negotiators.